Edgar (Ed) D. Shults, 72, of Liverpool, NY, formerly of Lafayette, died at home on Sunday, March 31, 2019. Ed was the son of the late Ernest and Berta (Sulcs) Shults of Latvia. Ed was born in Augsberg, Germany and came to the United States in 1950. With his love of music, Ed played the trumpet in the Air Force Band from 1965-1969, going on to earn his Bachelor’s and Masters in Music from Murray State in Kentucky. 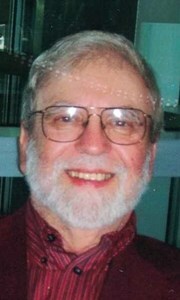 Ed taught instrumental music in the Syracuse City School District for 35 years. Ed played in Polish, German, and Ukrainian groups throughout Syracuse. Ed leaves behind his beloved wife of 43 years, Patricia (Duto) Shults, his devoted sons, Keith (Ashley) Shults, and Kevin (Brianna) Shults; sister, Inara Rubulis; 2 beautiful granddaughters, many sister-and brother-in-laws, and many nieces and nephews. Calling hours will take place at New Comer Cremations & Funerals on Tuesday, April 9th form 10am-12pm in North Syracuse, with a memorial service to follow. A private burial will be at a later date. In lieu of flowers, donations in Ed’s name may be made to Helping Hounds of CNY. To share a memory of Edgar or leave a special message for the family, please click the Share Memories button above. Add your memories to the guest book of Edgar Shults. I am so sorry for your loss. I will never forget the Sunday morning brass quintet rehearsals at George's house and all of the "useless knowledge" we would share with each other. As you may remember, we very rarely played in public, but had the best of times "rehearsing." I miss those days with Ed and admired him for his love of music and friendship. It was always nice seeing Ed and Pat at the annual Oktoberfest. His presence inspired me to play better and I enjoyed our conversations during set breaks. Please know that all of you are in my thoughts and prayers and Ed will always be remembered by me as a person who was always smiling, enjoyed sharing his love of music with his friends and admired his loving family. May God Bless all of you. We were shocked to read of Ed's passing. Pat & Ed shared many fun times while they were at Porter. Our love, prayers and thoughts are with each of you during this most difficult time, Ed loved his family . You sure made him proud. We are away and so sorry we will not be able to attend his service. We will miss you Ed! You made us so welcome and at home as part of your social group so that we feel like real New Yorkers. Thank you for being such a good friend! My condolences on the passing of Mr Shults. He was one of my favorite teachers, always the nicest guy. I had him in both elementary and high school. Can remember many band concerts at the different schools that we performed. Will always hold him in high regards!!! God Bless!!! I have enjoyed many years of attending concerts and listening to music with Ed... A great trumpet player and great person, who leaves a terrific family behind, will be missed by all who really knew him. God bless Pat and the boys. If Edgar and his family ever lived on Kellogg St in Syracuse I remember them well. I was their post standard paper boy and Ed and I became friends. His parents were decent hard working people. Playing table chess at Stadium Chili in Murray. You calling me when you came into Syracuse after graduating and you and I paying the bar tender at Mondo's on South Salina street to keep serving us until 5 AM in 1974 are memories that I will have forever. You taught me so many life lessons. You were always the smartest one of the bunch and always the voice of reason. R.I.P old friend.